The quintessential east coast clam, the quahog clam (aka quahaug, round clam, hard-shell clam) is much beloved throughout New England. 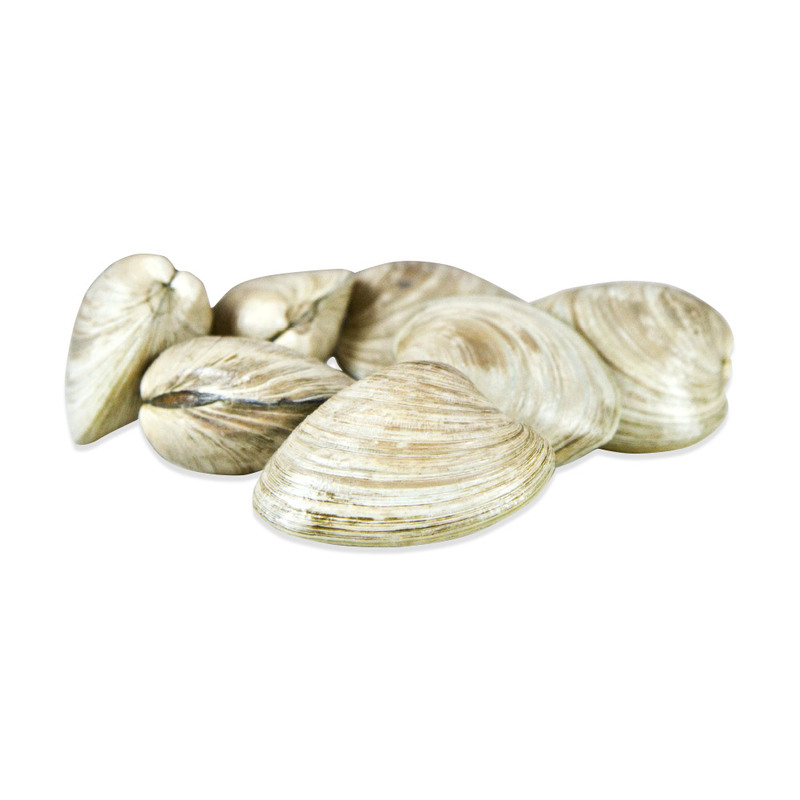 Available in a wide variety of sizes, these clams are the variety of choice for traditional clam dishes like chowders, clam strips, stuffed clams and more. 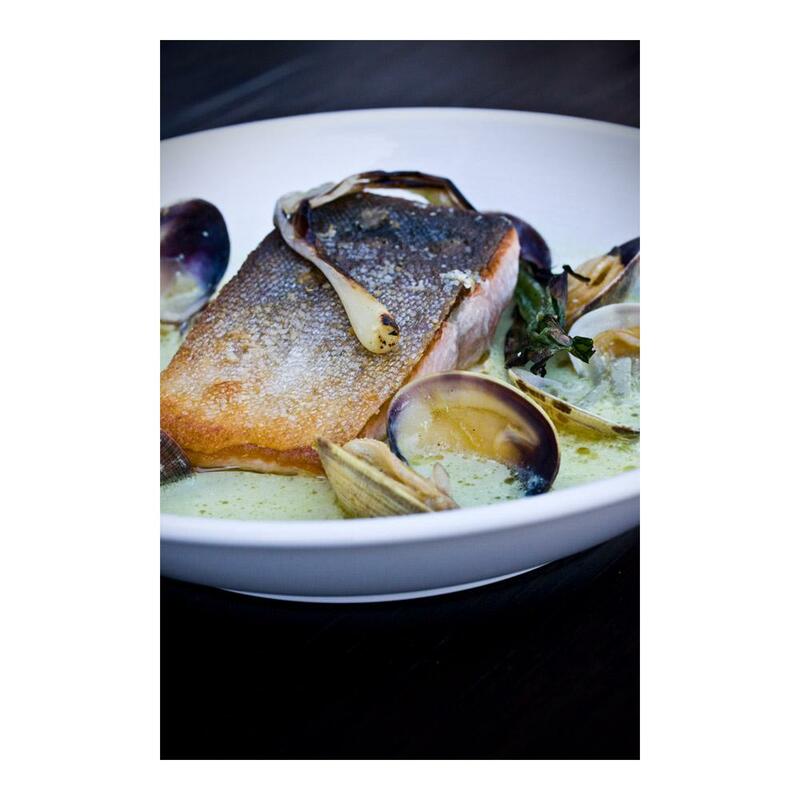 These clams are shipped live, ensuring they arrive on your doorstep fresh and delicious. Generally the smaller the clam is, the more tender its meat. Littlenecks are so tender and sweet that they can be served raw,* while the largest clams are best chopped or ground. *People with compromised immune systems should not eat raw or partially cooked clams. Quahog clams are extremely versatile as a species, but because size often correlates to tenderness, their best applications vary with their size. Littlenecks: Live littlenecks can be served raw* with their “liquor” on the half shell* (as you would oysters), or gently steamed just until they open for use in pastas, finished soups, and other dishes. Middlenecks: Live middlenecks can be served raw on the half shell,* breaded and fried, added to pasta dishes, or baked for culinary classics like Clams Casino (on the half shell with breadcrumbs, bacon, garlic, and other ingredients). Topnecks: Use topnecks in soups, stews, or baked dishes.